I really enjoy fajitas but I do not like “chewy” meat, so I do not really care for the quick stir fry recipe. I decided to try slow cooking them one day in my crock pot and it was a total hit. 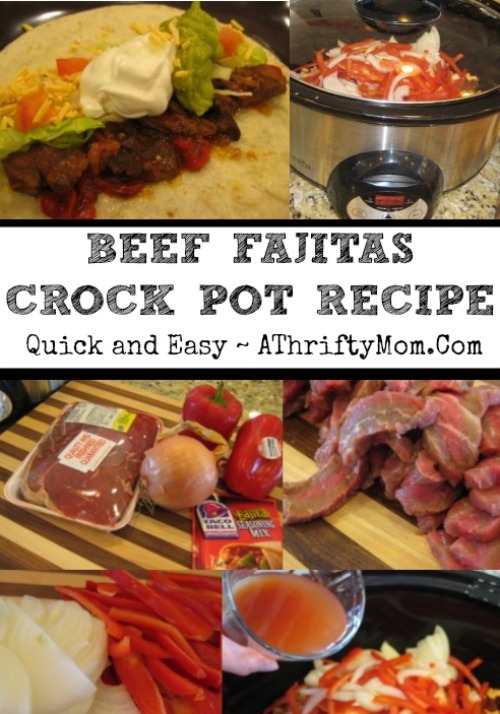 Now my Slow Cooker Beef Fajitas Crock Pot Recipe is a super easy hit at home with the kids! The meat was moist, tender and full of flavor! 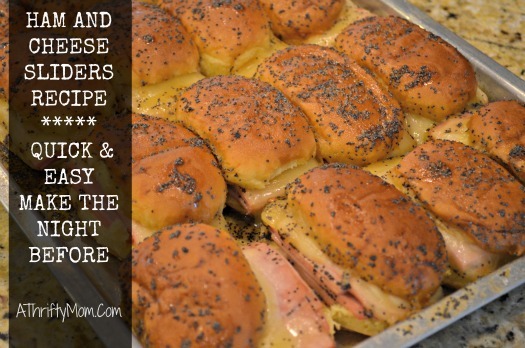 Takes about 10 minutes of prep work, cooks all day and you have delicious meal ready at dinner time! Cut your steak, and vegetables into thin strips. Put beef strips, seasoning packet and veggies into the crock pot. Add the ketchup to water and add to crock pot. Put the lid on, and cook on low heat 6-8 hours till desired tenderness. Eat on a tortilla, top with sour cream, guacamole, cheese, tomato, lettuce …. enjoy! It is a hit at our house! Super easy Fajitas cooked in the Crock Pot or Slow Cooker with less then 10 min prep time. Throw it in and forget it. YUM! Pinned so I can make it very soon. well the last time I made fajitas my husband asked if I could make them in the crockpot I said no I didn’t think so….. I guess he’ll be happy I was wrong.